You can now choose to create your own simple blog or complex business website using the WordPress CMS platform. A community forum using the phpBB forum plugin provided or even a comprehensive picture or photo gallery to showcase your photography, artwork or family pictures. 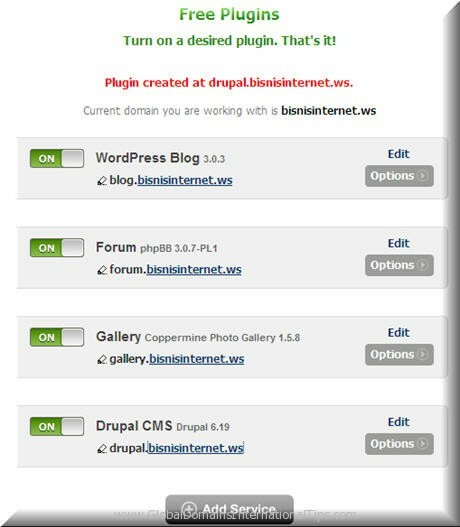 Its easy to set up your site using the plugins. You just need to log into your members area, click on “add service” and start creating your websites. You can even create unlimited websites, forums, blogs, picture gallery with unlimited subdomains. If you already have a wordpress blog hosted somewhere on on a free wordpress hosting, you can even transfer the site to your GDI hosting. This website is created with WordPress, can you see how much you can do for your business or personal site?